items | Tiffany Loves Cake! I want to take a moment to talk about things that make my day to day life a better place to be while decorating cakes. When I first decided I wanted to do this, I took up a second job, working at a bar, just so that I could buy things that I would need to get started learning how to decorate. I’ve spent a lot of money and a lot of time on my collection and some things proved to be invaluable, while others… turned out to be a waste of money. So here is a small list of things that I just don’t think I could live with out. Okay, so I didn’t actually go out and buy this. It was graciously given to me by my mother in law. It was passed down to her from her mother. Can you believe that before I was given this, I used to mix everything by hand?? My arms would just ache, it was awful. 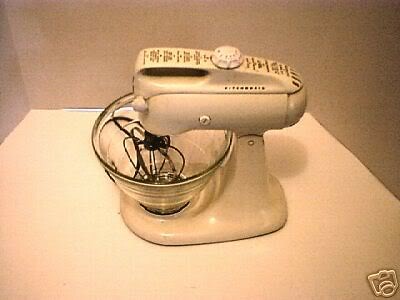 Obviously, I’d love a big fancy new Kitchen Aid mixer, but this thing was built with 1950’s know how. It’s a power horse! It gets the job done every time! 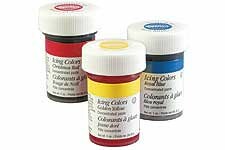 The next thing on my must-have list, are my Wilton gel colors. Liquid colors are pretty worthless. I know you can pick up a set of four for like a dollar, but you’ll never achieve those true vivid colors you’re looking for! These gel colors cost about $1.50 a color, but will last you quite a while. You only need a small amount to make your fondant and frostings bursting with vivid true colors. I’m told powdered colors are even more intense, but I don’t know where to buy them around here, so I haven’t tried them. These are readily available and can be found at any craft store and even in the cake decorating isle at Wal Mart. 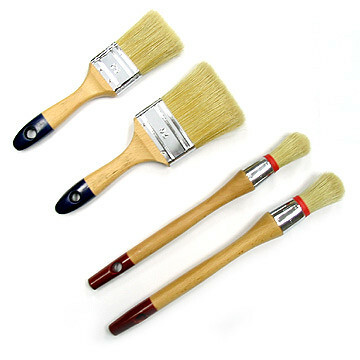 I have a variety of paint brushes from tiny little detail brushes which I use to paint itsy bitsy details with food colors, to large, flat brushes I use to dry brush the excess powedered sugar from my fondant covered cakes. I don’t think I would know what to do with out them. I sterilize them every time I use them by simply tossing them in the silverware basket in the dishwasher. 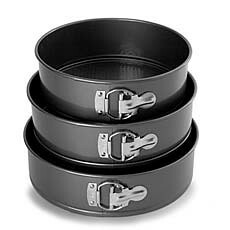 I even keep them in the silverware drawer in the kitchen lol. They’ve just become a part of my life. I have a different brush for everything. Oh gosh have I had some rolling pin issues. 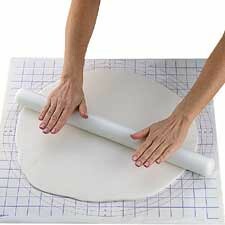 When I was starting out, I picked up, what I thought would be a great rolling pin. I spent about $25 on a “nice” metal rolling pin. I thought it would be be awesome. Man was I wrong. Despite my efforts to dry it after washing, there seemed to be a lot of little areas where the pin was put together with various casing and seals on the edges. Eventually, the area where the surface of the pin met the casing for the handles began to rust. I went to roll out white fondant one day and to my dismay, brownish/orange lines appeared on my fondant from the rust! I had to cut off those ares and start all over. I literally spent month rolling my fondant out with a heavy pint glass because I couldn’t afford to splurge on a new rolling pin. Well, finally, I treated myself to this fondant roller. Holy wow. How did I live before I owned this?? It’s so perfect. It’s heavy weight, so I don’t have to work as hard to flatten the fondant. It’s long, so I don’t end up having to work on the fondant a section at the time. It’s pretty much a perfect tool. I honestly don’t know what I would do with out it. There are SO many useful things in this little box. Any time I need to sculpt or shape something, these things are there for me and there’s always just the right tool for the job. 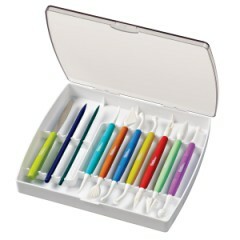 I always think of this little kit like my clay working tools from my ceramics class in high school. There are a lot of very similar pieces. I really love using these tools to create textures, mold shapes and add detail. My only small complaint is that there is a small rotary tool which does not spin as freely as I would like it to. 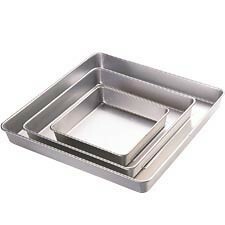 I think when you take your cakes out of the oven in Wilton Performance Pans, a holy chorus of angels should sing. I even made a wedding cake using all three of the square pans. Who knew baking a 16″x16″ square cake could be so easy? The layers barely even need a trim… they were just so… even and magical. I was in complete awe. Heck, I still am. 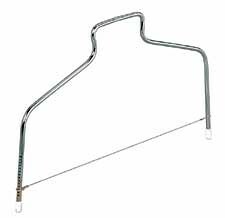 Now, here’s an item I misunderstood and sort of snubbed for a while. I used to have an awful time with these. I would have cake batter leaking out the bottom of them, I’ve ripped many a bottom out of a cake because it stuck to these weird textured bottom plates. I was about fed up with these. I’ve come to realize now, that spring form pans and I can, in fact, live in harmony. When I use them now, I place a piece of wax paper on the bottom plate, place the ring around it so that the wax paper is cinched in place and then cut the excess paper off around the bottom. Now here’s one thing I wish I hadn’t wasted the money on. Now, don’t get me wrong… this thing only cost me like $3, but to be honest, I could have purchased two gel colors for that. Or I could have bought one of my favorite energy drinks, or I could have bought 3 items at the dollar store… or… heck, I probably would have rather paid someone $3 to just throw this thing out the window of a moving vehicle. 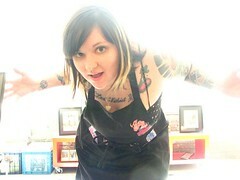 It’s like I paid $3, to destroy hours of mixing and baking and hard work! When I first started, I tried… really. I thought it was me. I couldn’t be this thing. It had to be me. I just didn’t know what I was doing. Right? I shredded and tore and maimed every cake I came near this thing with. Eventually, I put it away and decided to revisit it later. Months passed. I was ready to give it another chance. Same results. It can’t just be me. I think this thing is worthless. If you think you want to buy one, go get a meal deal at Taco Bell for your $3 instead.